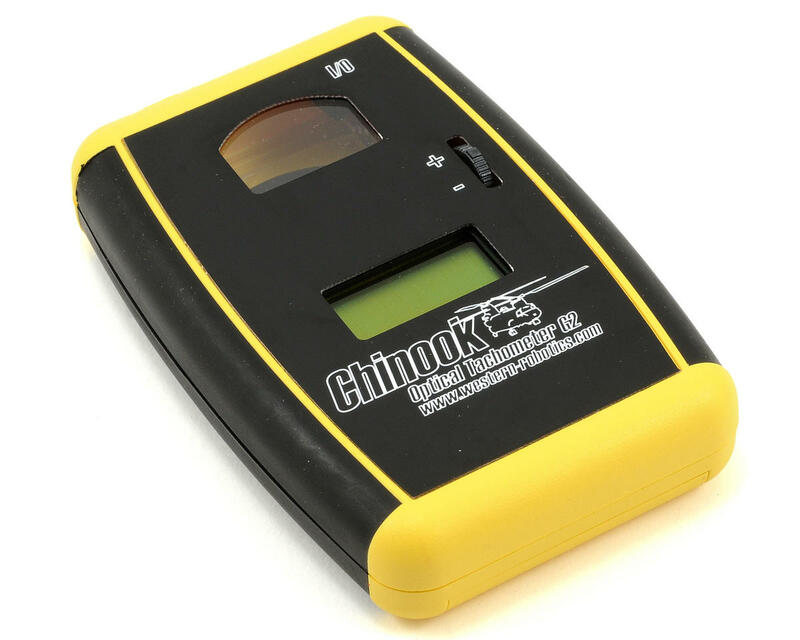 This is the Western Robotics Chinook G2 Elite Optical Tachometer. The G2 Elite Optical Tachometer is designed and manufactured in Canada with state of the art micro-controller technology. 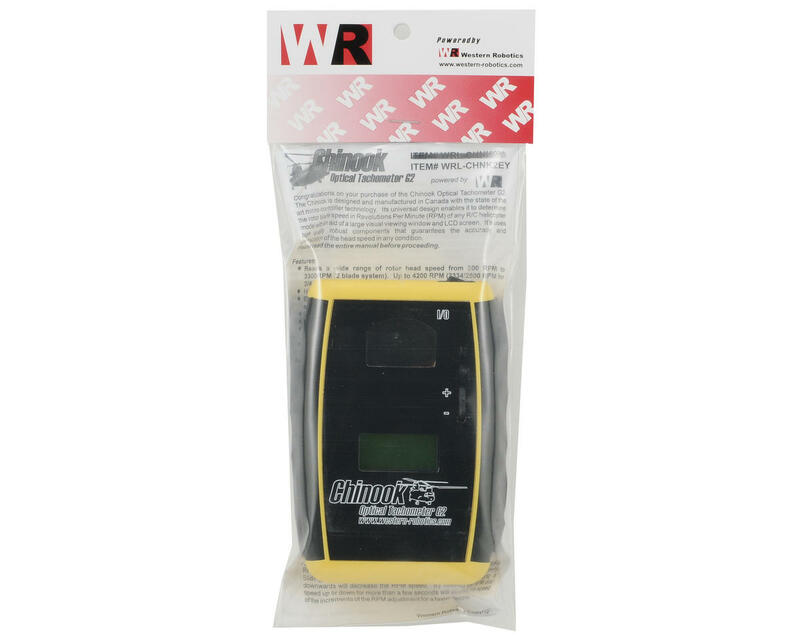 It's universal design enables it to determine the rotor blade speed of any R/C helicopter model in Revolutions Per Minute (RPM), with an aid of a large viewing window and LCD screen. It uses high quality robust components that guarantees the accuracy and optimization of the head speed in any condition. Reads a wide range of rotor head speed from 500 to 4200 RPM. Operates on one single 9V battery (sold separately).